Seoul is the capital of South Korea. 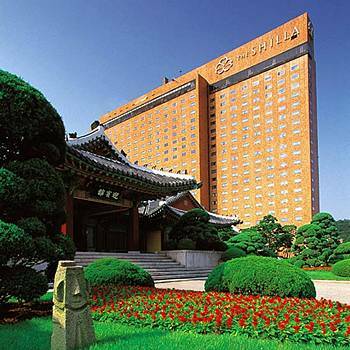 Seoul hotels may be of interested to you if you are planning a trip to South Korea. There are plenty to choose from and you can find something that fits you perfectly. First, an introduction to the city. If you wish, you may jump down to the bottom of this page my reviews of the hotels in Seoul. If you have never been to Seoul, you are missing out! Seoul is the capital city of South Korea, and is an extraordinary city. It is a highly populated city, much like New York City, but at the same time it holds on to some traditional aspects of Korean culture. You will see tall buildings everywhere you go, but will also run into traditional palaces and fine museums. You may wonder, "How can I ever get used to this and have a good understanding of the city!" If you divide the city up into certain sections or districts, it all becomes clear. Let's start in the middle. The Chongno area is right in the middle of Seoul. It is often thought of as the center of the city - and for good reason too! :-) In Chongno, you will find palaces such as the Doksu and Changgyong Palaces, along with the Chogyesa Temple, completely surrounded by a populated downtown area full of shopping, restaurants, and entertainment. To the West you will find another area of Seoul. This is where Ehwa Women's University is. It's common sense that you will find clothing stores, hairdressers, and other womanly stores in this area. There are a few more universities in the area as well. With all the universities in the area, you will certainly find bars, restaurants, and nightclubs. Itaewon is located to the Southwest. This is where you will find the US Military Base. It is also the most westernized area of the city. If you have trouble getting used to the rest of Seoul, swing by Itaewon for a little while. You will find western foods and stores, as well as the Korean War Memorial. Also in the South you will find the Apkujung, just across the Han River. This is where the money is. Property is expensive. Food is expensive. The wealthy shop there. Also south of the river is the newer Kangnam region. This is very popular for younger people, as it is filled with movie theaters, restaurants, shops, and other entertainment. There isn't much of traditional Korea in the Kangnam district. The last region in the South is the Namdaemun region. You will find a lively market and other more traditional aspects of Korea here. Somewhat similar to Namdaemun is the Dongdaemun district. This is in the east. You will find the famous Dongdaemun market here, good for buying brand-name items at good prices! Lastly, to the north of Chongno is Taehangno, broadway central. If you like plays, musicals, concerts, or anything of the sort, be sure to swing by here. You will find those, along with Dong Soong art center, Marronnier Park, and some restaurants. Sound like a lot? Well, it's a big city. And that is why there are numerous Seoul Hotels! You will find hotels in every part of Seoul. The hotels range in prices, as well as style. Seoul Hotels are very popular to stay in. Best of all, if you stay in a hotel in Seoul, you have access to all places above fairly cheap! There is a very economical subway system running all over Seoul! You can easily hop on the subway and ride to anywhere you wish to go! You should be able to get to the subway station pretty quickly from any Seoul hotel! So, let's get started and look at those Seoul hotels. The Shilla Seoul- The Shilla Seoul is one of the most prestigious hotels in the world, a fine member of The Leading Hotels of the World. It sits with top addresses in Seoul, right next to it's 23 acre private park. It has some of the top dining and facilities as well! This 5 star hotel is one you must check out if you are looking at Seoul hotels! 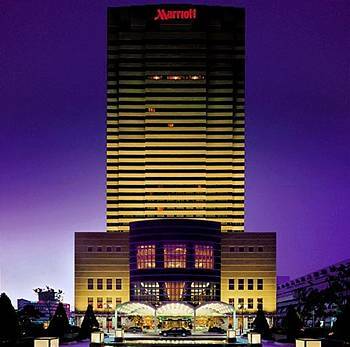 JW Marriott Hotel Seoul- This hotel is also one very popular hotel. 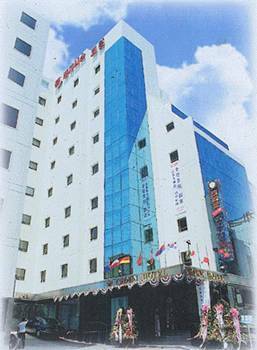 It is a very contemporary hotel geared towards business. It is 35 stories tall and sits on the Han River, providing an excellent view! 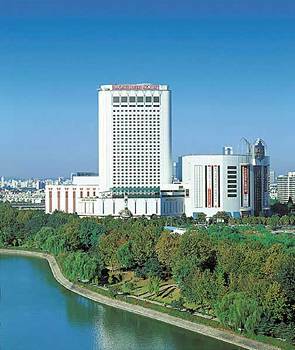 Lotte Hotel World - Looking for something a little different for a business stay? Something with a unique look and atmosphere? Then look no further! This hotel features a unique 35 story look to it, right in the middle of Seoul. It provides an excellent gym. It also sits right next to the Lotte Theme Park and Lotte Department Store. Renaissance Seoul Hotel - The Renaissance Seoul Hotel is a business oriented hotel sitting in commercial Seoul. It is sleek with 23 stories, and only 2 blocks from exhibition and trade centers. A great 5 star hotel within an affordable budget! Novotel Ambassador Gangnam Hotel - Geared towards business as well, but is slightly more affordable. The Novotel Ambassador Gangnam Hotel overlooks the Han river, and is easily reachable from the main airport. It has a nice pool and golf-tee off practice area as well! 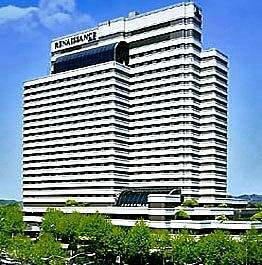 A perfect 4 star hotel for business trips with a lower budget. Sofitel Ambassador Seoul - Hotel has an excellent view from atop Mount Namsan. It is 5 miles from the airport, and absolutely beautiful. The furnishings are fantastic and so is the price. Definitely check this one out! 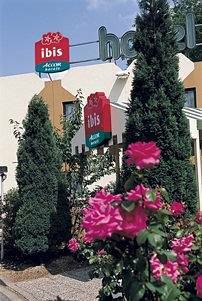 Hotel Ibis Seoul - An excellent top value hotel! The hotel sits peacefully right out of the city. The service is excellent and the price is unbeatable for everything that is included. Excellent hotel! 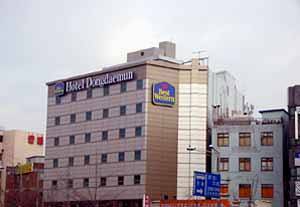 Best Western Hotel Dongdaemun - Excellent, simple Best Western Hotel. It is situated right near the subway station, an excellent location! What more is there to say? A super price for a Best Western! Hotel Crown Insadong - Hotel with quite luxurious rooms for the price. Staff is extremely nice, and internet is provided in the lobby. Bottom prices, great hotel!